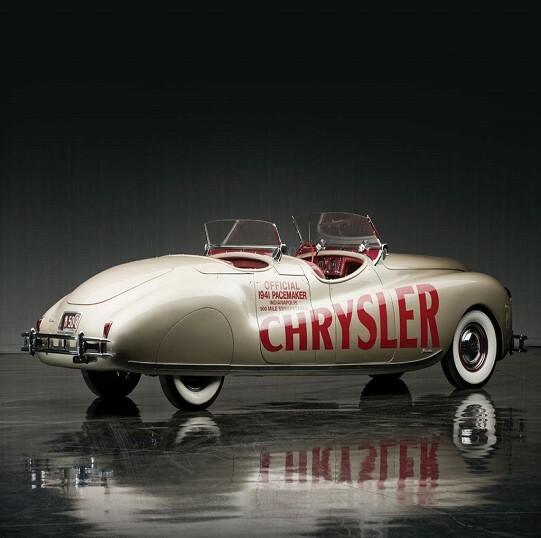 Originally owned and driven by Walter P. Chrysler Jr. 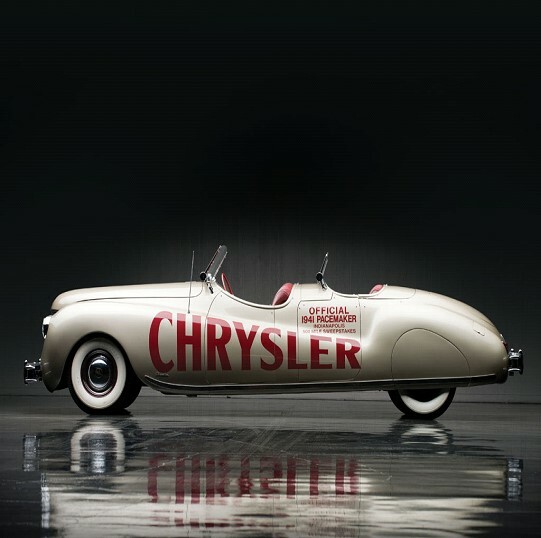 The dual blows of the Great Depression and the only slightly less disastrous Airflow traumatized the Chrysler Corporation, which spent the late-1930s building conservatively designed and engineered automobiles. 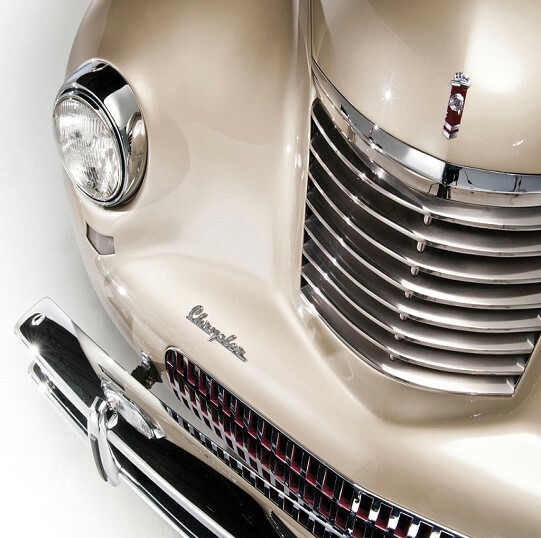 It was designer Ralph Roberts, of LeBaron, who, in the fall of 1940, recognized that as the nation and the company recovered, Chrysler would benefit from some high style added to its lineup. 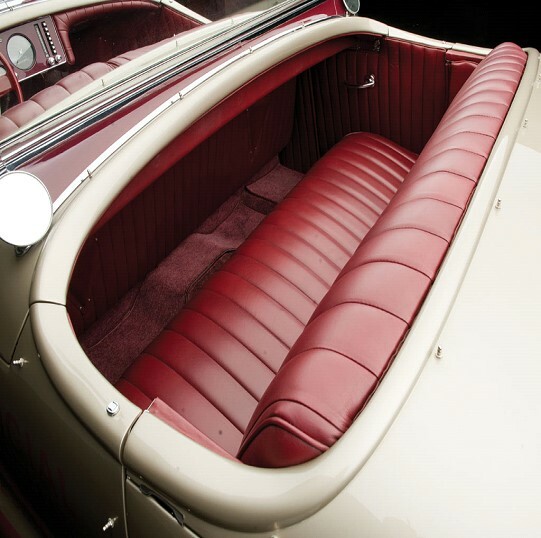 The idea that Roberts had in mind was a dual cowl phaeton, a body style that had disappeared from the scene at Chrysler after 1933. 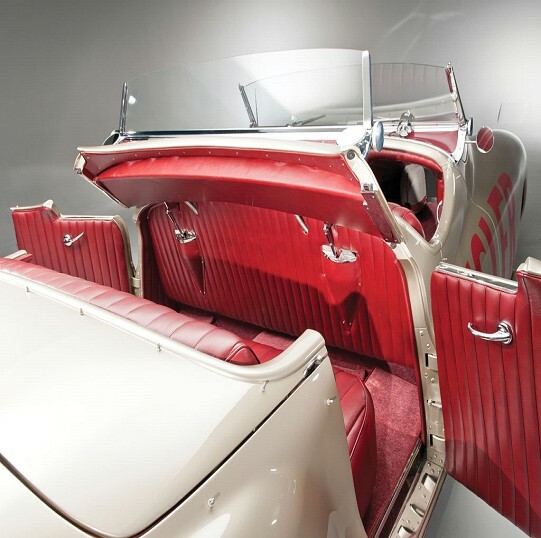 For the dual cowl’s last dance, he combined the old-fashioned body style with exotic baroque curves inspired by aircraft design, including flowing envelope fenders, a fully disappearing fabric top, and headlights that disappeared behind flush-fitting retractable covers. 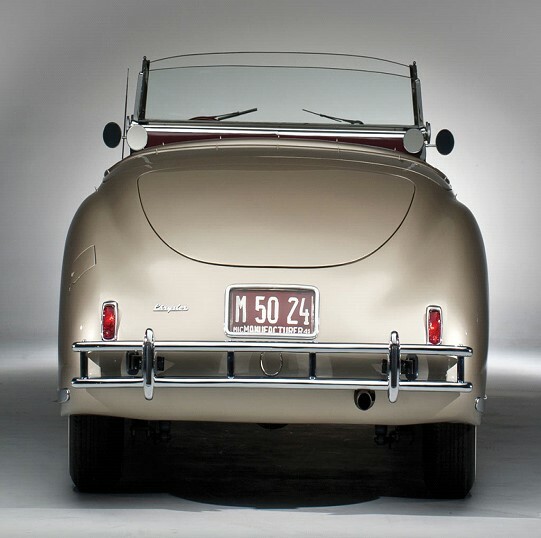 Even the rear cowl was electronically raised and lowered, to ease passenger entry and exit. 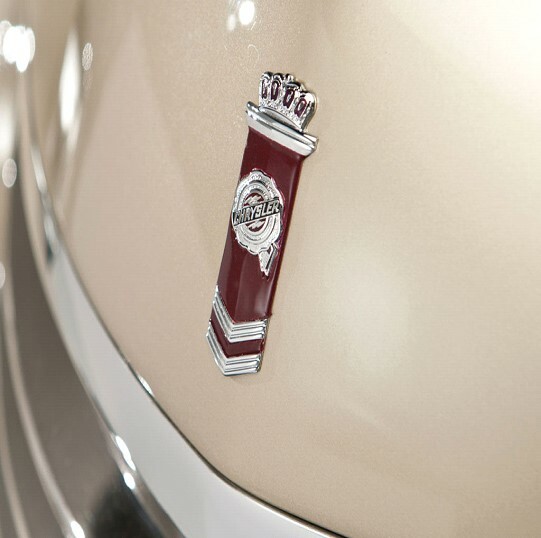 The result, dubbed the Newport, was so visually stirring that it moved even Chrysler chief K.T. Keller, a known proponent of conservative design. 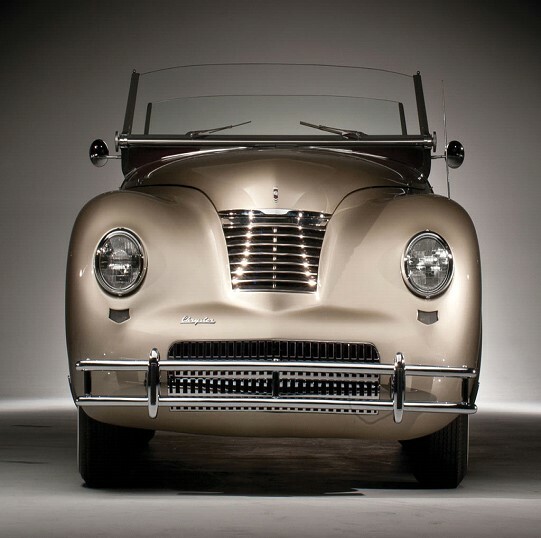 Keller ordered LeBaron to produce six examples of the Newport for the 1941 auto shows, which, by the time of the order, meant that all six cars had to be turned out in 90 days. 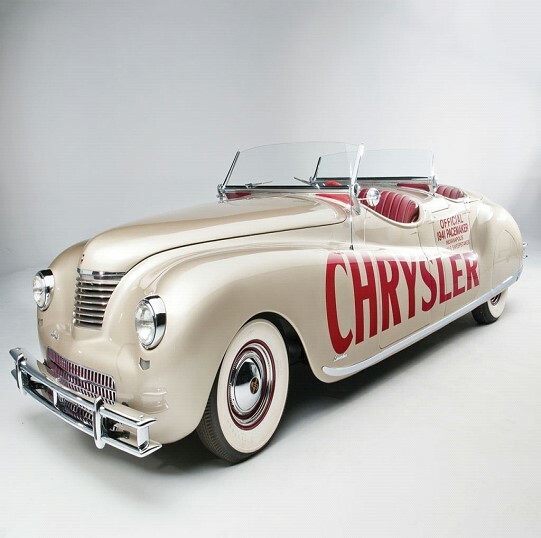 It is believed that only five were actually completed, and they caused a sensation as they toured auto shows and Chrysler dealerships in the months before World War II. 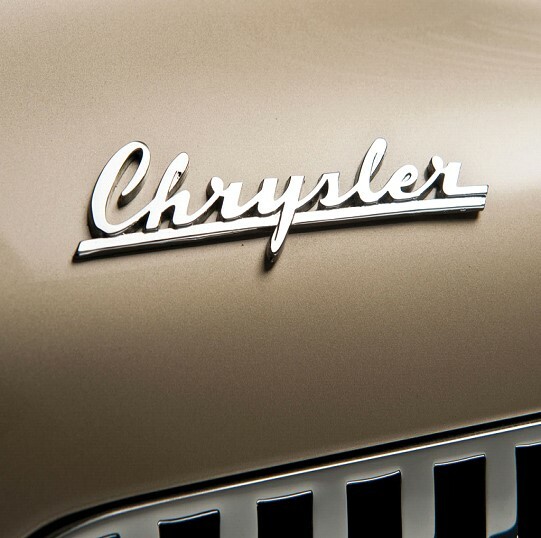 While the Newport’s design itself would impact future production Chryslers only in detail, emotionally, its impact for Chrysler was far greater. It proved that the company could produce beautiful things again, and that it would continue to build them in the future. Despite their “concept car” status, the Newports have enjoyed an enviable survival rate. 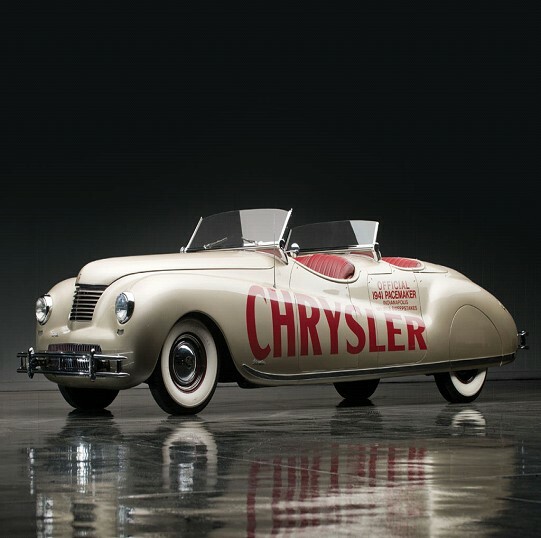 All five cars built remain today, including examples held in the permanent collections of the Walter P. Chrysler Museum and the National Automobile Museum. 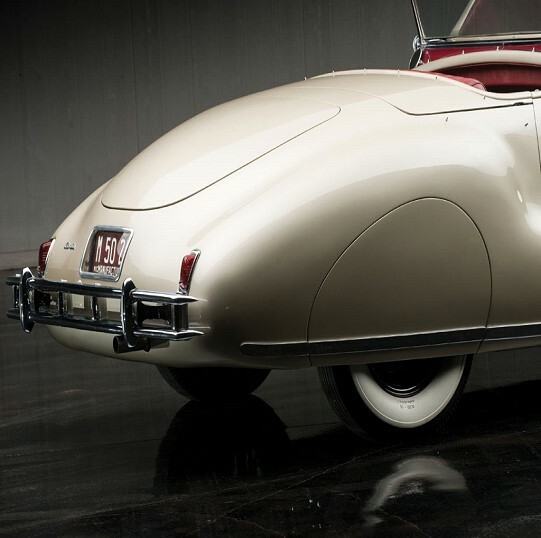 The car shown here was the only Newport built with open headlights, giving it a unique front-end appearance. 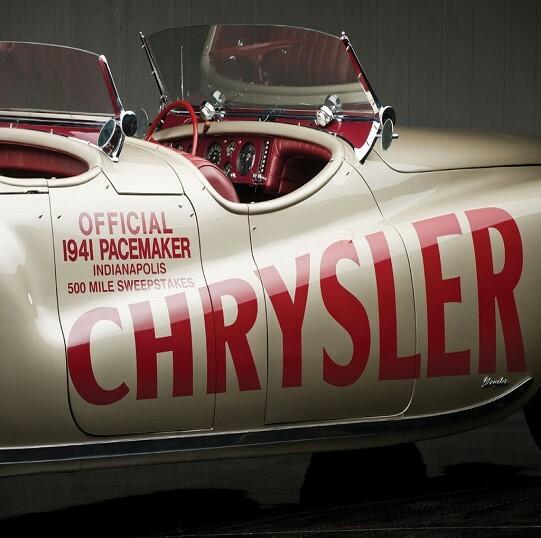 It is also, perhaps, the most famous example, having served as the Pacemaker of the 1941 Indianapolis 500, the last run of America’s classic race to be held before World War II. The 500 was won that year by Floyd Davis and Mauri Rose, but for many in the stands, the star of the field was undoubtedly the Newport, strutting through the Brickyard dust in its sparkling bronze paint, with CHRYSLER proclaimed on its flanks—lest anyone forget who was giving them a glimpse of the future. Period footage of the race survives at the Indianapolis Motor Speedway Hall of Fame, clearly showing this Newport, with its distinctive open headlights, “leading the pack.” Importantly, the Newport was, up to that time, the only non-production automobile to have ever paced at Indianapolis. It would continue to hold that honor until the Dodge Viper prototype ran in 1989, and it remains the last custom-bodied automobile to have paced Indianapolis. 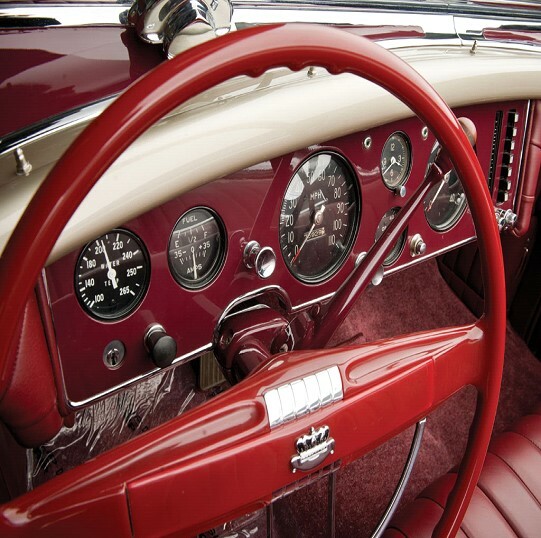 It was common in this relaxed era for auto industry executives to commandeer unique prototypes for their personal use. 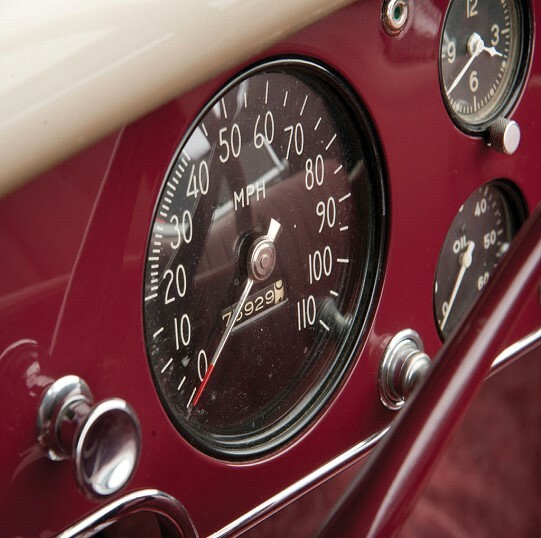 In the case of the Pacemaker Newport, it passed into the hands of Walter P. Chrysler Jr., son of the company’s late founder and namesake, who had it repainted light green and used it while vacationing on Cape Cod. Well-versed in beautiful things that were ahead of their time, Chrysler Jr. served as president of the family’s landmark New York skyscraper, and he was a devotee and great patron of modern art. More than just a well-connected relative, he was perhaps the only man for whom a “daily driver” Newport would make perfect sense. 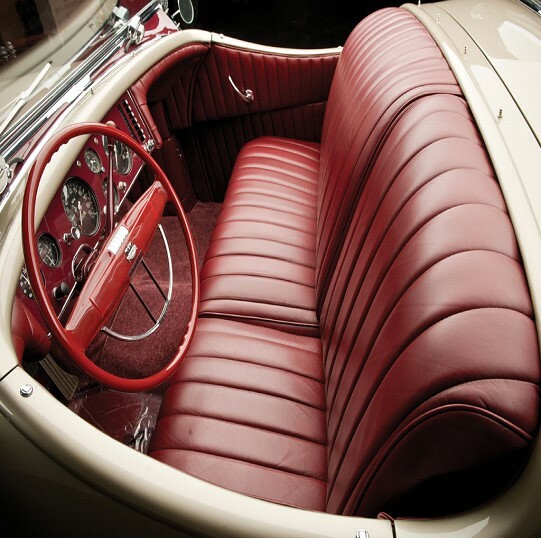 The car was eventually traded into a Chevrolet dealer in Provincetown, Massachusetts, probably by the second owner. It was stored by the next owner in his barn for 30 years, before being sold in July 1989 to A.J. “Tony” Pascucci and his son John, noted collectors who returned the car to the enthusiast community after decades of hiding. It then passed through the hands of prominent collectors Jim Kaufmann and Roger Willbanks. 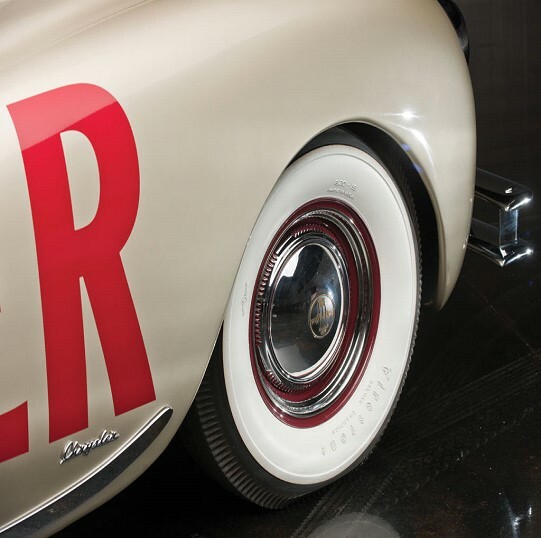 In Willbanks’ hands, the Newport, repainted Chrysler’s green, with the Pacemaker lettering reapplied, appeared at the Pebble Beach Concours d’Elegance in 2003. Appropriately, it was chosen that same weekend to once again pace the course, this time at the Monterey Historic races at the Laguna Seca raceway, where it accompanied the debut of the Chrysler Crossfire. The Newport was next acquired by a well-known collector in Texas. After examination proved that age was beginning to take its toll on the still very original car, his shop restored it to its original appearance, including the correct bronze finish it had worn at Indianapolis. 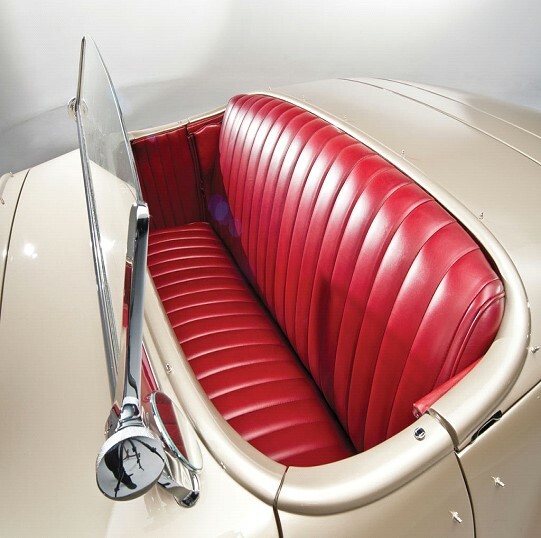 The restoration took thousands of man hours to complete, with no area of the car untouched. 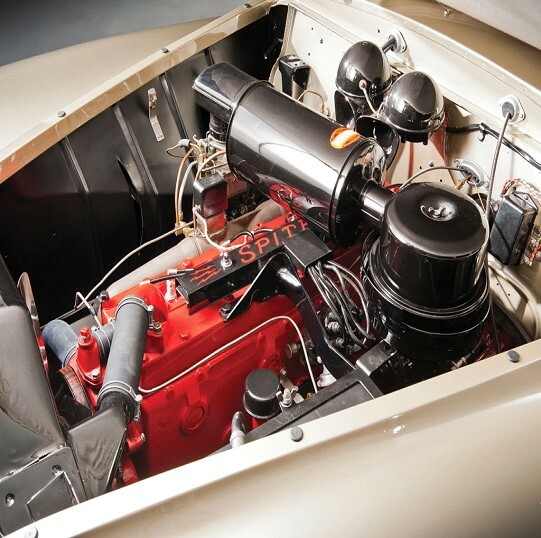 Passed not long after into the hands of Mr. Don Davis, the Pacemaker has resided with him since, and it has been maintained in concours condition and stands today as well as it did in 1941. It is fitting that in a collection so packed with performance cars, the Indianapolis 500, ex-Walter Chrysler Jr. Newport has come to stand as a centerpiece. It is, and has always been, a leader of the pack.